Huawei is going to come up with three interesting new additions, the Nova 2 Lite and the P20 Pro and a mysterious phone with model number ATU-L22. 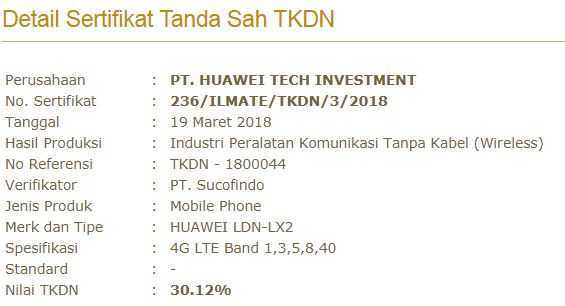 All three models have just cleared TKDN certification in Indonesia and are expected to get launched in the region shortly. 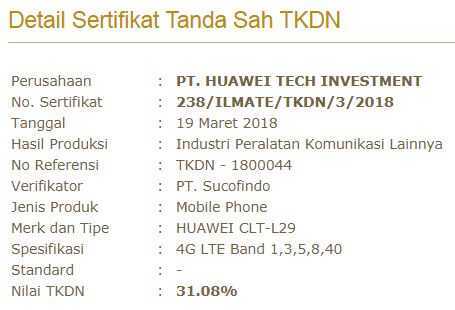 The devices were previously spotted in the Indonesian certification website and also in the Philippines. 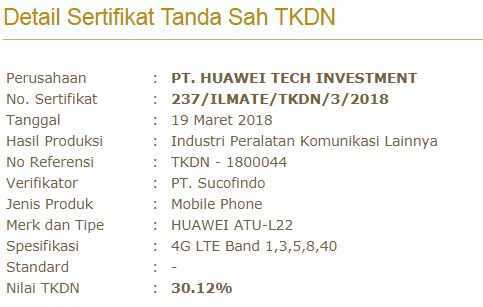 The newest certification has confirmed that Huawei is going for an Asian launch in some of the major markets. The TKDN listing always provides limited information with regards to a smartphone and it is difficult to find the exact specifications of these upcoming models. While it has been confirmed that they are Huawei models, it is also confirmed that a third variant is getting ready to be launched in the same timeline. The models numbers of the three phones that were certified are: LDN-LX2, CLT-L29 and ATU-L22. The model number LDN-LX2 corresponds to Huawei Note 2 Lite. The Nova 2 Lite features a bezel-less display and is powered by the Qualcomm Snapdragon 430 processor. The chipset is duly supported by 3GB of RAM to keep apps snappy and responsive combined with 32GB of storage space. The phone has some new age features like Face unlock, better lowlight photography camera and also retains the fingerprint sensor mounted in the back. The device runs on the latest Android 8.0 Oreo operating system. The model number CLT-L29 corresponds to Huawei P20 Pro. Huawei is aiming to make P20 Pro the best-in-class smartphone with powerful camera features. The device is rumored to be using a three-camera setup in the rear and capable of creating 40-megapixel images bringing it on par with DSLR images. It should also provide the highest level of zoom going up to 5X, allowing you to take impressive photographs using a smartphone. Apart from the above devices, there is a third device that has passed the certification. Given the fact that the model number starts with ‘A’, it could be part of the series codenamed “Anne”. Since we do not know anything about the specs or dimensions of the phone, we can’t really predict which model it is. We will keep you posted.